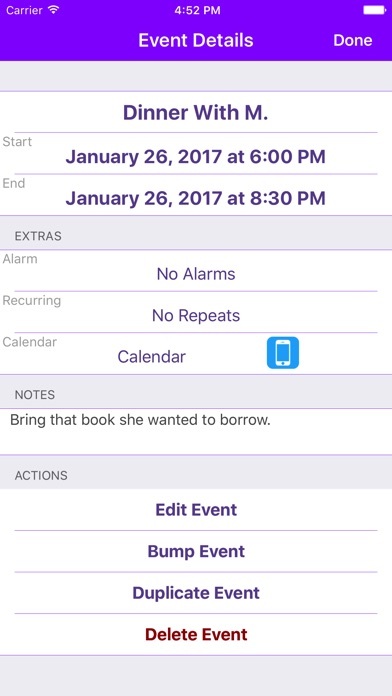 Overlord is a calendar replacement that focuses on doing just a few things, but doing them right. 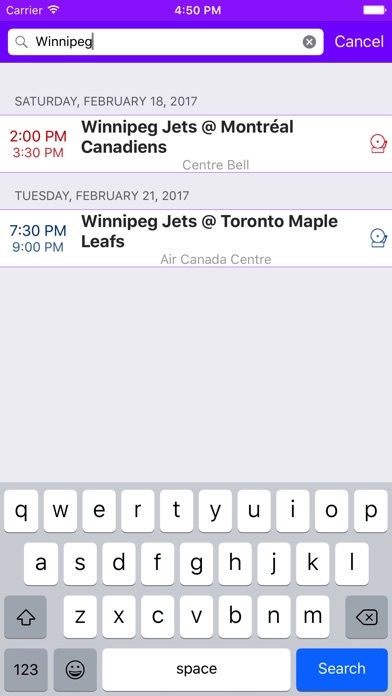 The Overview screen brings back the calendar List view that many people miss. 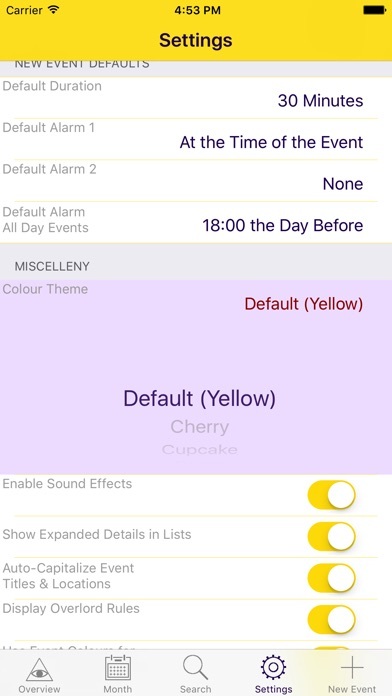 Originally designed as a 2-week overview, you can customize how far forward (and back) the list view includes. 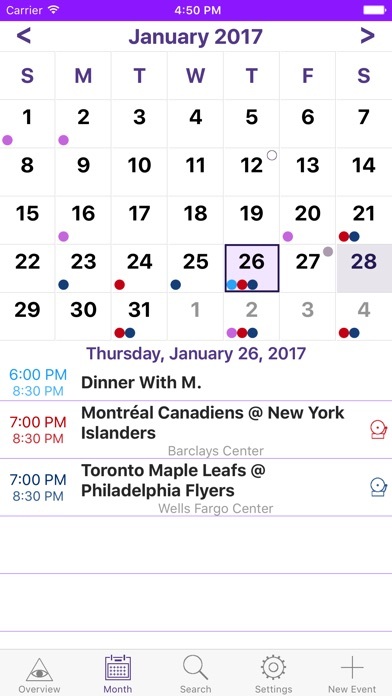 The Month view gives you a month-at-a-glance, showing what days have events registered. 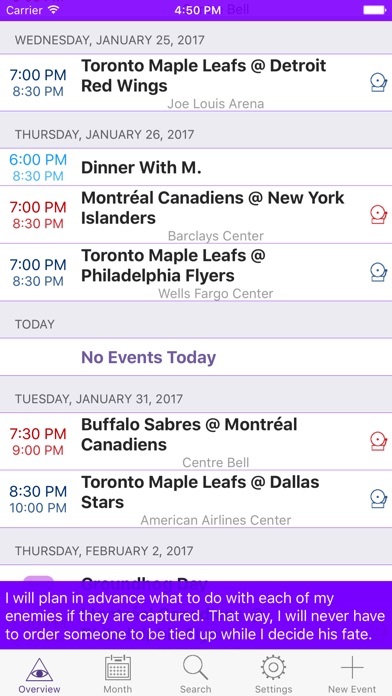 Tapping a day provides a list of the events below, without moving you off of the Month view. On the iPad, Overview and Month views are combined into a single screen. Finally, for a bit of humour, the Overview screen (optionally) displays random quotes from the Evil Overlord list.